Flexibility is a building block of ballet – it allows for a wider range of motion, helps protect against injury and enables more elegant lines. And the crazy thing about flexibility is that no matter how far you can stretch already, there’s always more to be done! Stretching to improve flexibility is a critical part of your dance development. If you’re sweating over a stubborn hamstring that won’t budge or a back that just refuses to arch, fret no more. The best way to improve your flexibility is to consistently stretch – every day if you can swing it – because just stretching once every other week just won’t cut it. And as always, don’t push your body further than it can go! If a stretch hurts, that’s not a sign you’re improving – it’s a sign you’re damaging your muscles and tendons, so move into deeper stretches gradually. Here are two stretches that are very effective for improving your flexibility. The stretch, “The Superman,” comes from DanceTeacher Connect and is a great way to improve back flexibility. First, lay down on the ground flat on your stomach. Then, raise your upper body off the ground as high as possible without using your arms for support – your chest and back muscles should pull you up. Go as high as you can, then return to the start. The blog recommends repeating this movement three times then resting to build the muscles around your spine, thereby improving your back flexibility. DanceSpirit magazine has a great list of dynamic stretches that dancers can do. Brynn Jinnett, creator of Refine Method in New York City, told the magazine that dancers focus too much on static stretches and don’t do enough dynamic stretches that can improve their overall range of motion. Try their hip flexor stretch for greater hip and hamstring flexibility and deeper splits. First, kneel on your right knee with your left leg in front of you and bend it perpendicular to the floor. Push forward gently with your hips, like you’re lunging, while squeezing your glutes. Hold for a second, then return to the starting position. Stacey Nemour, a flexibility guru, reminded dancers that it’s important to stretch with correct form, to relax and never force the muscles or bounce during stretching. So be careful not to overwork your muscles and gradually up the intensity of your stretching routine. A dancer relies on her feet, and it takes care and practice through foot stretches for dancers to make sure your feet are at the top of their game. Strong, flexible feet provide the foundation upon which other moves are done – weak feet, and you’re going to have a hard time dancing confidently and fluidly. Whether you think you have flat feet or arches that need a little more oomph, there are lots of stretches you can do to strengthen your feet and make them more flexible. However, it’s important to be familiar with safe stretching practices and the movements that you should avoid. Stretching too much – or the wrong way – can backfire on you and cause serious damage. Read on to learn more about stretching your feet. There are several different ways that the feet can be stretched. One way is manually – the dancer herself uses her hands to bend her toes and arches to extend their stretch. Resistance bands, such as the Theraband, are also popular. Another way is to have your friend stretch your feet or – as you have probably heard before – to stretch your feet under a piano, door or couch. These last two methods – having a friend stretch you and using an object to stretch – are not recommended, as they can pose serious damage to your feet. BalletHub explained that these two types of stretches put additional stress on the body. By putting your feet underneath a heavy object, you put extreme pressure on your knee, heel and leg muscles, making more prone to injury. For similar reasons, having a friend stretch out your foot is not recommended, either. Your friend isn’t you, so they don’t know how much pressure is too much – and if they do stretch your foot too far, by the time you notice the damage may already be done. Stretching your feet yourself, without the use of heavy objects for leverage, and using a band are safer ways of stretching your feet. However, you should still take caution and gently stretch the feet, since it’s very easy to overwork them. Consistent stretching multiple times a day will garner the most results. Just be sure to gradually increase the intensity of your stretch, avoid stretching until it hurts and be careful not to overwork yourself. There are plenty of simple stretches you can do to work your feet. The blog Live On Pointe recommended pointing and flexing your feet using a Theraband for resistance, along with doing relevés on each leg. BalletHub advised doing the “Wrap n’ Push” to improve the feet. You sit on the floor, bend one leg over the other and stretch your feet through several movements using your hands. See their step-by-step guide to the stretch here. Should You Do a Group Warm Up Exercise Before Competitions? You start each class with a group warm up exercise, which helps prepare the muscles and minds of your students for the practice ahead. Your students expect that each class will begin the same way, and they try to perform the movements in unison with each other. When it comes to competitions, though, this go-to warm up is a little less reliable. Your dancers might travel separately to the competition venue, or maybe there’s limited space, and it ends up that each of your dancers’ stretches on their own, off in a corner or hallway, or in pairs. While independent stretching before competitions is unproblematic for advanced, experienced dancers, a group warm up exercise before competitions can be incredibly beneficial. Just make sure that you take up as little space as possible and choose a warm-up location that’s away from high-traffic areas. The main goal of warming up is to raise the body’s temperature by a few degrees, noted Jan Dunn in a post for 4Dancers.org. By increasing body temperature, you lubricate your joints, boost blood flow to your muscles, raise your breathing rate and strengthen your mind-body connection. A warm-up that is not done properly or is insufficient can lead to injury and hurt a dancer’s performance. Younger or inexperienced dancers likely do not have a thorough understanding of what a correct and effective warm-up entails. By leading a group warm-up with all of your dancers before a competition, you can ensure that each and every one of your students has fully prepared their muscles to perform safely and at their best. Nerves are high before a competition, and when a student is off on her own stretching and watching dancers from other studios warm-up, her nerves can jump up even higher. “Getting engrossed in others’ dancing could make you nervous or subliminally lower your expectations for yourself,” wrote Amy Brandt for Pointe Magazine. A group warm-up before a competition allows your students to focus on you and each other, and not the dancers they’re competing against. By following your warm-up instructions, they can focus on their own skills and better drown out noisy distractions. An effective warm up exercise routine includes a variety of movements and stretches, and it’s much easier for dancers to forget certain movements if they’re warming up independently. A thorough warm-up involves three stages, passive, general and specific, explained Dance Advantage. The passive warm-up is simply making gentle movements while wearing legwarmers and other layers to raise body temperature. The general warm-up, which is 5 to 10 minutes of light cardio, is likely the warm-up stage most skipped over by dancers, according to the site. And the specific stage is when unique movements are done to work the main muscle groups that will be taxed during the performance, and includes barre and center work. A thorough, multi-stage warm-up is the best preparation before a competition. What Do Your Dance Moves Say About You? During a recital, you make sure you hit every count of the choreography perfectly and pour your emotions into your leaps and turns to tell a story to the audience. But what kind of story are you telling when you’re not on stage or in front of the mirror, but are instead busting out moves at a friend’s party or school dance? The way you move when you don’t care who’s watching tells a lot about what type of personality you have, according to new research. And beyond revealing your personality, scientists think that your dance moves may also give insight into your thoughts and feelings. So, what do your go-to dance moves say about you? Moving around the dance floor a lot while making big, energetic movements with your arms and head: You’re an extrovert! You own that dance floor with your dramatic moves and don’t care who’s watching. The more attention you get, the better! Doing the “shuffle,” or jerkily moving your hands and feet in quick, sharp motions: You have an neurotic personality! You feel a little more self-conscious in the disco lights of a dance floor than up on stage, and don’t want to make too much of a statement. You make up and down movements right in time with the music, but not much more than that: You are open-minded! Your mind is free and unworried so it can tap into the music and what it makes you feel. You have an impeccable sense of rhythm and timing, and can adjust easily between different musical styles and songs. You move your body in smooth side-to-side motions while swinging your hands: You have an agreeable personality! Like with other things in life, you go with the flow and let the music move you. People gravitate toward you, and you love when the size of your dancing circle grows. You dance your way around the room, never staying in one spot too long, and are constantly making big motions with your hands: You have a conscientious and dutiful personality! You are a dedicated worker, always staying late after class to nail your choreography. You hate being bored and want to make sure you get the most out of whatever you do and live life to the fullest. And finally, if you always point your toes, no matter where you are: You are a true dancer at heart! This one wasn’t in the study, but if your friends always point out how your toes are always curled in impeccable form it can only mean one thing: You always have the spirit of dance within you, wherever you go! Many people would consider dance a workout in itself. However, in order to be at your best as a dancer, there’s some preparation required off the stage as well. Some dancers appreciate a good workout to help keep them in shape but also to keep their muscles limber and strong. While everyone has a different workout they prefer, some moves are classic, especially barre exercises. While there are several different types of barre classes dancers can take to keep in shape, Physique 57 is currently one of the best in the business. Several celebrities have tested out this class, including Chrissy Teigen. The classes are modeled off of the Lotte Berk Method, a tried-and-true method created in the ’50s and used by dancers all over the world. If you’re looking to stay toned and lean off stage, use these moves from Physique 57 to help you stay in shape, according to Dance Spirit magazine. Have you tested out these barre exercises? This exercise helps work your thighs, improves your balance and tones your core and back. If you’ve ever done ballet, you know this move pretty well. For this exercise you will need a sturdy chair to use for balance. Begin in plie form in first position. Make sure you feel comfortable, not awkward or strained. Place your hands on the back of the chair and lean the top part of your body forward, keeping your back straight, until you reach a 45-degree angle. Once you’re in this position, lift your right heel off the floor and slide it to your left side behind your body, so that it aligns with your left shoulder. Slowly begin to lower yourself to the ground, making sure to keep your hips and your shoulders aligned. Begin to do 30 to 60 pulses in this position, and then switch to the other leg. If you really want to test your strength and your muscles, try this position even lower to the ground. Even though this workout has a funny name, these moves help tone and strengthen the obliques, gluteus maximus and hamstring muscles. Begin lying down on your right side with your arm stretched upward beneath your head. Place your left palm on the ground near your chest to help keep yourself balanced. Pull your knees toward your chest until you reach a 90-degree angle. Keeping your legs together, lift your feet off the ground with your knees staying on the floor. From this position, push your left leg outward until it’s straight. Try to reach as far as you can go without straining yourself. Then bring your leg back in, returning to the initial position. Complete this move 15 times slowly, followed by 20 times quickly. Then switch sides. If you think about the motion of your legs, it should look like a deli slicer. This exercise is great for the core and can help tone your abdominal muscles. You will need a cushion and a ball to perform this move. Begin sitting on the ground. Place some type of cushion – whether it’s a yoga mat or a pillow – behind your lower back for support. Once it’s in place, start to lower yourself onto it, making sure to keep your arms, head and neck upright. Place your feet on the ball, keeping your toes pointed forward. Make sure your knees are bent at a 90-degree angle and your arms are outstretched forward. Inhale inward and place your arms overhead so that your body is entirely on top of the cushion and your legs are completely straight, with your feet still resting on the ball. Return to the initial position. Repeat this process between 30 and 60 times, depending on your strength. Make sure you don’t sit all the way up on the return, as that won’t work your muscles as strongly. This exercise helps stretch your hips, strengthen your waistline and tone your gluteus maximus. Start this exercise sitting on the ground, with your left leg at a 90-degree angle in front of you and your right leg at a 90-degree angle behind your back. Try to push your right thigh as far back as it’s willing to go. Place your hands on the floor on either side of your left leg to improve stability. Tighten your core, point your toes and lift your right leg off the floor and move it up and down between 20 and 30 times, keeping the leg bent at 90 degrees. Then, repeat the position but extend your leg and keep your foot flat for another 20 to 30 repetitions. Regardless of what age and level you are, it can be hard to be a student and a dancer. You want to be the best dancer you can be, but you also don’t want to fall behind on your schoolwork. Yet between homework, tests, practices and recitals, it can be hard to get it all done. So what are you to do? Consider these four tips on how to balance dance and school. Between school and dance, you may not have much free time. That’s why it’s important to stay organized. One of the best ways to do this is to get a planner. If a paper planner isn’t your thing, consider one of these great organizational apps. As soon as you get your syllabus from each class, log all quizzes, assignments and tests. That way, you can’t miss your assigned homework or a last-minute practice. Visually seeing these tasks a week ahead can also keep you organized. Sometimes you might not know about a performance or recital until a few weeks before. At the beginning of the year, ask your dance studio owner or teacher for a estimated calendar of events that you can log into your planner as well. Hopefully those dates will stay fairly accurate throughout the year so you can keep on top of it all. Some days, it may seem like dance is more important than school. You have more fun there anyway, right? However, at the end of the day, academics still matter. If there is a way to compromise, then make it happen. Otherwise, put school first. At the end of the day, dance may not be worth it if you’re failing classes. If you have a big test or presentation coming up, work on it during your free time at dance practice or a recital. However, if you know that you won’t have that free time at dance, it might be better to skip it. As a dancer, you may tend to put a little too much on your plate. Aside from school and dance, you may also try to balance a job, friends and time with family. Be careful – this can lead to a fast burnout if you try to make it all work. Each week, plan out your timing. Look at how much time you plan to spend at dance, at school, on homework and so on. If you don’t have time for everything, it’s important to cut out activities that matter less. Though it could be hard to cancel on good friends, it might be necessary. Make sure you dedicate the most time in your day to dance and school. If you have extra time at the end of your day, great! If not, then it’s time to make some cancelations. If you’re looking to be a serious dancer, it might be time to think about home school. That way, you can plan your hours around practice and recitals. However, if you decide to do this, it’s important to talk to your teachers, parents and dance directors first. They may decide against the idea or note that it isn’t the smartest move for you. Your parents or guardians may also note that they don’t have the time to teach you at home. Sometimes, you may be able to compromise. Consider meeting halfway by going to class part of the time and then attending dance classes for the rest of the day. That way, your schoolwork is still partially structured while being able to focus on dance. There are many reasons that dancers seek to improve their flexibility. Maybe they’re just starting out and want to do their first split. Or sometimes more advanced students need a greater range of flexibility to nail complicated tricks. Whatever students’ motivations may be, dance instructors should be able to provide sound advice on how dancers can safely improve flexibility. Here are some tips on flexibility for dancers to share with your performers. It’s essential that dance teachers show their students safe ways to increase flexibility because there are so many “quick fixes” on the Internet. Students who want to quickly elongate their muscles often turn to dangerous and extreme stretching methods, which can hurt their bodies in the long run. Explain to your students the consequences of improper stretching methods and work with them to gradually improve flexibility. Young students may be tempted to jump right into difficult stretches, but cold muscles aren’t going to be limber. If dancers want to see results and avoid injuries, they should always start their stretching sessions by warming up with a few cardio exercises and then ease themselves into the pose. In the video below, Virginia from Encore Gymnastics shows how students can gradually improve their splits, starting with light stretches on the front and back legs. As Virginia points out in the video, proper form is key when it comes to an effective stretch. For this reason, dancers should focus on maintaining good body posture while stretching. Students also need to be thinking about how often they’re stretching and for how long. Leigh Heflin, who works at the Harkness Center for Dance Injuries at NYU Langone Medical Center, explained to Dance Teacher magazine that different people will need to stretch more often, depending on their body’s natural predisposition. Dancers who are a little more limber might only need to stretch three times each week, where less-flexible students would benefit from five sessions. Have your students work together to gradually improve flexibility. It’s also important for students to slowly increase their stretching. Dancers shouldn’t try to “overstretch,” as demonstrated in the video, until their bodies are ready. The International Association for Dance Medicine and Science recommended that students aim for three to five reps of 30-second static stretches per session. This will help stretch the muscle tissue at a safe, progressive rate. Don’t stretch too much before a performance, as this can reduce your ability to jump. Avoid prolonged stretches, which are held for 20 minutes or more. Don’t push through sharp, searing or severe pain. Dynamic and static stretching are preferable to ballistic stretches. Bouncing or jerking your muscles can lead to injury. If your muscles are particularly tight, use a foam roller on them instead of stretching further. Rest and relaxation may be tempting during the warm weather, but dance students who are serious about staying in shape and being ready to excel come fall need to stay active to maintain their muscle tone, flexibility and endurance. Here are some tips on cross-training for dancers that studio owners and dance teachers can pass onto their students. If students are going to truly commit to cross-training, they need to understand its importance. One of the big benefits of cross-training during the summer is that it will help dancers stay in shape. Week after week of lounging around the house, hanging at the pool and indulging at summertime cookouts can set dancers back if they don’t keep up their activity levels. Dedicated students should be working to maintain muscle strength and flexibility while also improving trouble areas. While these short-term goals are important, there are also some bigger benefits of cross-training for dancers. Students who are consistently engaging in activities outside the studio often are less prone to injuries and can push past training obstacles faster than dance-focused peers. So does this mean your students should spend their vacations in the gym? Not at all! There are many different methods of cross-training that will appeal to even the most reluctant dancers. David Popoli, M.D., a primary care sports medicine physician from Children’s Healthcare of Atlanta, explains that there are activities that allow dancers to express their artistic side while still giving them a great workout. As Popoli mentioned, yoga and Pilates are great summertime activities for dancers. These low-impact activities will help students improve their flexibility, control their breathing and target specific muscle groups. You may want to see if a group of your dedicated dancers are willing to take a yoga class in the studio over the summer – hosting an instructor is a great way to bring in a little extra revenue during the slow season. Another viable option is weight training. Many females are hesitant to lift weights, as they don’t want to end up with big bulky muscles. However, when done correctly, weight training can be extremely beneficial to dancers. Encourage your dancers to work on their cores, biceps and legs by lifting weights. Three sets of each exercise with eight to 10 reps is the perfect amount to keep them looking long and lean while still building up strength. Swimming is a great way to improve endurance while beating the heat. When the weather is simply too nice to stay inside, dancers can continue their training with outdoor sports. 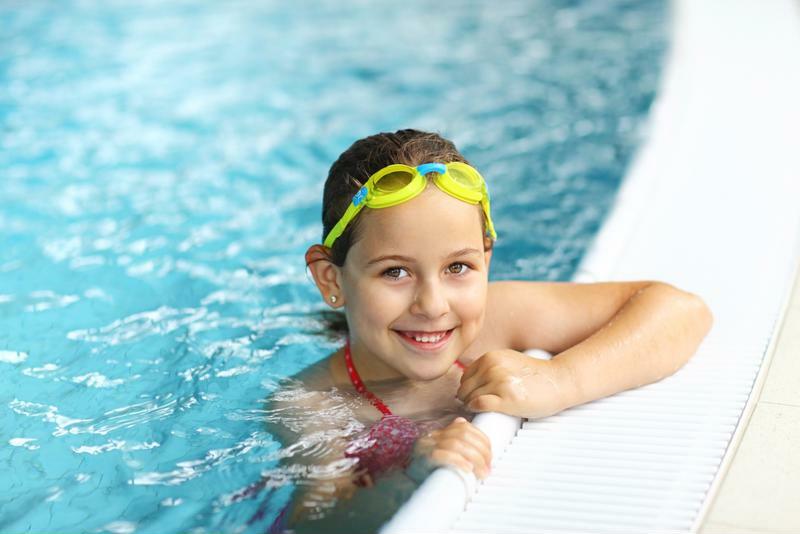 Students who want a full-body workout can try swimming laps at their local pool. This activity doesn’t put any pressure on the joints, but it can really get your heart pumping, helping improve endurance. Biking is a good choice for dancers who want to build up their leg strength. Encourage your students to ride in low-resistance areas – like flat stretches of land – so their leg muscles stay trim. If you’re looking for a way to switch up the dance warm-up for your class, consider incorporating some yoga poses into your routine. Yoga is great for flexibility and balance, and it also relieves stress and helps kids to focus. Here are some of the benefits dancers can gain from practicing yoga and some of the best poses to warm up with. Almost every type of dancer, from ballet to hip-hop, can benefit from regular yoga practice. ISport explained that one of the biggest gains will be in flexibility. Yoga can help young dancers target their problem areas and keep those muscles lean. It’s a great practice for impatient young dancers, because yoga poses can gradually stretch muscles and prevent tears. ISport also pointed out that yoga is a great way to build upper body and core strength. Warming up with yoga is helpful in teaching students proper breathing techniques as well. Yoga emphasizes deep breaths from the diaphragm that won’t alter the alignment of the spine and ribs. To best incorporate yoga into your class warm up, start with some deep breathing exercises. Encourage your students to relax and focus on their breathing. This will help them to shake off distractions and release stress they’re carrying. You’ll probably want to move through a few basic poses – forward bends, downward dog, plank – to get them started. Once you feel everyone is ready, try these poses together. Big Toe Pose: In this variation of a forward fold, you’ll keep your legs as straight as possible and grab your big toes with the index and middle fingers of each hand. Have students alternate between pressing their chest to their thighs and stretching up into a table-top position. YogaWiz explained that this is a great exercise to stretch the hamstrings and calves. Triangle Pose: Begin with your feet about three feet apart, with one foot facing forward and the other perpendicular to it. With arms outstretched, move your torso toward the front-pointing foot, then reach down with your front hand and rest it on the floor or your calf, and extend the top arm toward the ceiling. You’re stretching the front and back of your legs with this pose and also opening up your hips and chest, according to YogaWiz. Tree Pose: This is a great balance exercise that kids will enjoy. Stand with your feet together, then draw one leg up and place the sole of your foot against your inner thigh or calf – getting your leg up high isn’t super important, but don’t place your foot on or near the knee. If you want an extra challenge, raise both arms above your head. Make sure to switch legs to optimize the stretch and open your hips.